Earlier in May, Indonesia’s ride-hailing giant Go-Jek announced that it is entering Singapore, Vietnam, Thailand and the Philippines market by September 2018. But September has since come and gone, and TechCrunch reported that Go-Jek is coming to Singapore shores by October instead. And early last month, Go-Jek finally spoke up and confirmed that it will be launching in Singapore in November as it secured partnerships with six local car firms to bolster its vehicle fleet. It subsequently opened pre-registrations for Go-Car drivers a few weeks back, which Go-Jek’s president Andre Soelistyo described the response as “overwhelming”. In its FAQ, Go-Jek said that it will be onboarding its driver-partners in batches, and those who have pre-registered will be allocated an onboarding slot via text message. 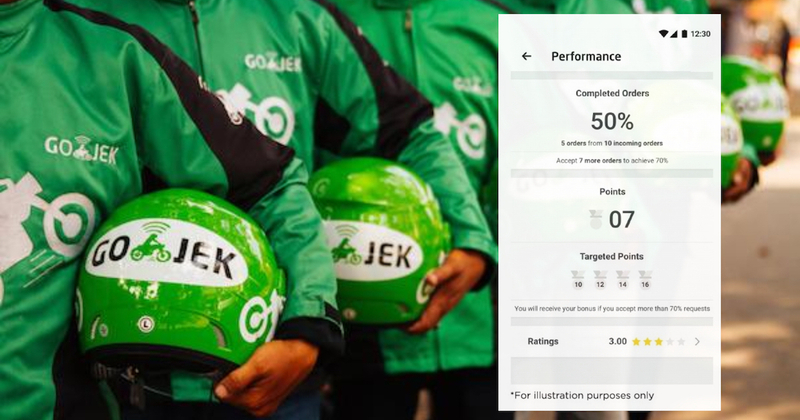 According to Go-Jek, a small number of driver-partners have already started on some onboarding activities as part of beta testing to gather feedback. It added that it will continue to invite more drivers into the process as it ramps up its onboarding efforts. It also debunked rumours that Go-Car drivers who sign up early will receive “special incentives”. According to the post, Go-Jek is allegedly rewarding new drivers with $1,300 if they hit 120 trips a week. A bigger bonus of $1,800 will be awarded if they complete 150 trips in a week. To top it off, drivers will apparently not be subjected to Acceptance Rate and Cancellation Rate requirements. Go-Jek refuted these claims and reiterated that users should only rely on Go-Jek’s official channels for verified information. On its FAQ, Go-Jek shared a link to its driver-partner handbook, which has been actively circulating on social media. 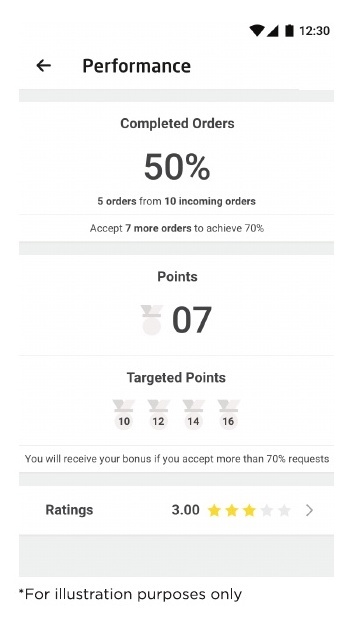 Points – Drivers earn points for every trip they complete. These points can be accumulated and cashed out, as long as drivers meet the minimum ‘performa’ requirements. According to Go-Jek, ‘performa’ refers to the total number of completed bookings and customer cancellations, divided by the total number of trip requests received. Go-Car drivers can withdraw their earnings anytime, as long as it hits at least $50. Once the withdrawal is successful, the funds will be transferred to their bank account within minutes. Furthermore, if a customer makes a significant mess in the driver’s vehicle, Go-Jek will cover up to $50 of the cleaning costs. Drivers simply have to send a photo of the said mess and a receipt of the cleaning service via the in-app help. Meanwhile, its competitor, Grab, had introduced in October a new tiered-rewards programme for its drivers, which promises gross monthly incomes of $6,888 to $11,888. Grab also allows its drivers to instantly withdraw their earnings — from a minimum of $50 to a maximum of $5,000 — limited at a maximum of 2 cash out requests from their GrabPay wallet a day. In total, drivers can only cash out up to $8,000 per day. Cash-outs above $5,000 will require up to 3 working days to process, however. On cleaning fees, Grab offers $75 cleaning fees to their drivers, which will be credited into their cash wallet. Are You Revved Up For Go-Jek? 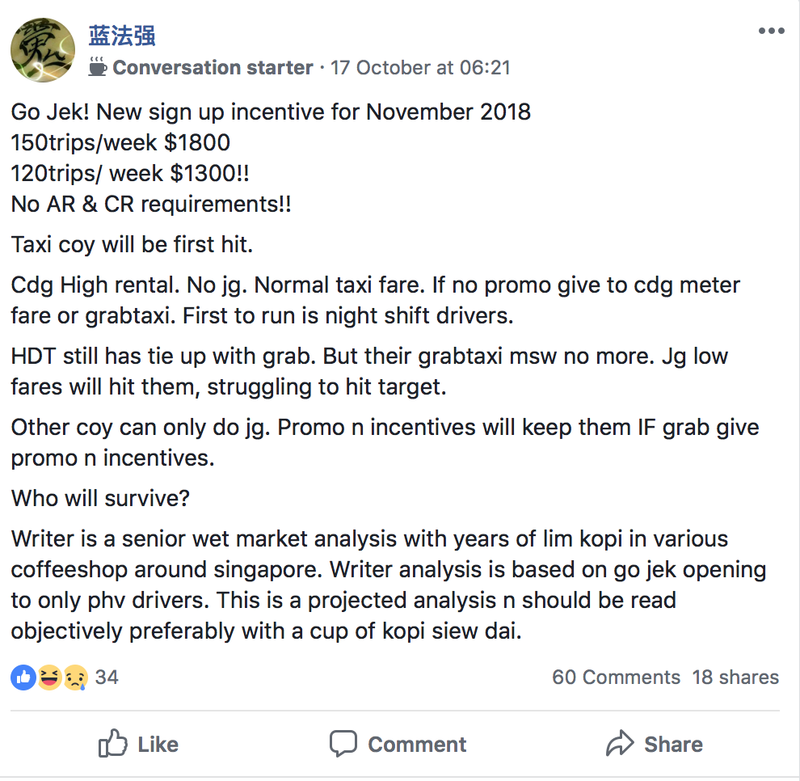 A recent online poll conducted by Facebook group Singapore Private Hire Car Drivers & Riders Community revealed that 86% of 1,200 respondents said they would quit Grab and switch over to Go-Jek when it arrives to Singapore. So if you are keen on joining Go-Jek, good news: it’s still hiring. Go-Jek said that it welcomes all qualified PDVL/TDVL holders, and they will continue the onboarding process even after their service becomes available. Driver-partner onboarding is by invitation only, however. To pre-register your interest, you can visit their site here.